Many people ask me how to make money fast. While there are many legitimate ways to make money fast online there are even more scams. That is just one of the reasons that I started this blog. Every legitimate way to make money online takes a little bit of work. One of the ways I discovered was iWriter. This is a free system to join. You can be a writer or have content written for you. They can be books, articles, or even rewrites of stories already written. The platform works by connecting the writers to the content people want written. As I mentioned you can use it in two different ways. You can have content written and you can also write content for others. I have used it to have something to post on sites like ezinearticles.com or other article directories to help drive traffic to my site. Both writers and article requesters get ranked based on their interactions with each other. When you first start writing, you are listed as a standard writer. After 30 reviews of your writing you can get moved to premium writer or elite writer based on your reviews. There is a quicker way to move up your rankings, more on that later. Every writer gets paid based on the amount of words in the article. Well to some degree, let me explain. If a requester is asking for an article of 150 words that is the minimum amount of words. You will only get paid for those words even if you write 300 words in the article you will still only get paid for the 150 words. You could get a tip from the requester as well as a great review. If you write a bad article or don’t follow the instructions, then you could get your article rejected and not get paid at all. Everyone starts out as a standard writer. If you want to make good money with iWriter you will want to get your ranking up as fast as possible. You can see that an elite writer makes much more money than a standard writer for the same assignment. There are two ways to do this. The first way is simple but it takes time and effort. That is to write, write, write and when you are done with that write some more. Each of these assignments will take you one step closer to getting the reviews you need. Some projects you will not get reviewed others you will. The most important thing is to make sure that each project you follow the instructions. It is also very important to write as perfectly as you can. You don’t want any grammatical, spelling, or contextual errors. Whatever you do make sure you write all your own content. Do not spin articles, plagiarize, or utilize any other shortcut method. Every article goes through copyscape and must pass. While you could get a spun article to pass copyscape, it would be easy to pick out and you will get ban from writing on the site again. The second way to get upgraded to a higher level is to log in to the system. Click on write content. At the top and then click on the link top. The banner will look like the one here. This will take you to a page that will allow you to get graded quickly. By quickly I mean as little as one day. You must write three articles based on keywords that the iWriter team chooses. Once you submit the three articles the team will review your work and give you a rating based on your abilities. If you get a review ranking average of 4 to 4.6 then you will automatically be listed as a premium writer. If your review ranking average is 4.6 or higher, you will be placed as an elite writer. There is one catch to the fast track. You have to pay for the review. It is only fair. It takes a lot of man hours to review those submissions and rate them. The cost is a one-time fee of $147. I stated if you do not follow the instructions or write a poor article you might not get paid for your effort. So make sure you follow the instructions to the letter. That does not mean if an article is supposed to be 150 words stick exactly to 150 words. It means use the keywords and write the article how the requestor asked it to be written. Articles can be written in a professional tone or a friendly tone. Don’t write an article in a friendly tone if the requester asked for a professional tone, and vise versa. Those rankings also affect the requestors as well. As you can see as a writer you can tell how often the requester rejects an article. You really want to focus on those articles where the percentage of them accepting an article is high. Then click on the plus sign. Next to the articles name and keywords. Before you start writing make sure you read the special instructions by clicking on the button. This will give you a better idea of what is expected of you. If you agree to the terms, then click on the write article button. You will then be taken to another screen that will start a timer. This timer is how much time you have to complete the article. There is no way of stopping or pausing the timer. I almost forgot to include this. That would have been bad, after all that is what this is all about. The money. You can set your limits on how often you get paid. It can be set to as often as every Tuesday or as long as once a month. You can also set the dollar limits as low as $20 per pay. Finally, they will issue payments via PayPal. Many people I help out use iWriter to pay for them to start their own website or business. Some people choose to just write to make a little extra money in their spare time. If you are multilingual there are opportunities to write in other languages as well. I must say that most of the requests are in English. With all of that being said, go ahead and give iWriter a try. Please let me know how it goes for you or questions you have below! 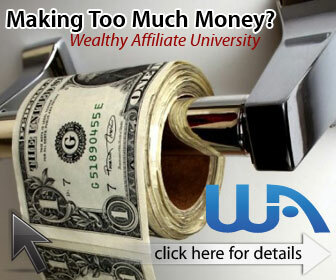 That gives you a great breakdown of how to make money fast with iWriter. If you are interested in learning more about how to make money online and avoid scams check out my top recommendations. There are several things that helped me earn money online and you can see all of my recommendations here as well. This is very interesting. You get paid for writing articles. It’s great for people who love writing, great at writing as well as wanting to write for extra income. There are two downsides of it though – the time limit and the possibility of rejection. However, there’s nothing wrong with trying it first to see how it goes. You’ve detailed everything in great length. It’s great that they also offer a faster way to go for Elite writer where the earning is higher. Though still you have to pay for that and subjected to the pass quality. Thanks for the great review. Thank you for the comment and yes it is a great way to make extra money. You can do it for fun, help to get funds to start a website of your own or many other things. I do like the way you can pay to get an upgrade quicker but there is no promise you will get it. I think most people will just use the system until they get 30 reviews. That is okay too. This post is an interesting one. I used to submit articles (lots of them!) to EzineArticles a few years ago. The only reason I did so was for exposure of my website link via the author bio. Since then, Ezine Articles has become less of an authority site in the eyes of the search engines, so I don’t bother anymore. Now, this iWriter thing is a way to get paid for writing. Cool. That’s if you have the time and dedication to do that kind of stuff. I’d rather write for my website and reap the rewards of being an authority in my niche later on down the line. Thank you Vic for the comment. I appreciate it. Yes the search engines do not leave as much authority from article submissions but they all add up with natural backlinks. Natural backlinks are the only ones you want or you could get deindexed. I also agree with writing for your own site, but if you want to make enough money to pay for your first site then this is a good way to do it until you start making enough to pay for itself. I can see how iWriter would be a great place for a newbie to make money fast and also gain some confidence. Once they have the confidence, they might want to move onto other methods or find customers directly. The beauty of iWriter is how easy it is to get customers. Ultimately, a writer will make more if they have their own blog, but that takes time. You are absolutely correct on both counts. I think it is a great place to springboard yourself. Not only get practice but also make enough to support your blog until it is self sustaining. I have never had any issues at all finding articles for standard writers. If you scroll down to the bottom of the write article page you will see many articles that need to be written. Most of the articles actually are for standard writers. Please let me know if you have any further issues. I’ve tried iWriter before and I’ve never been a fan of it. But after going through this article, I think I’ll give it a second try.But I’ve read mixed reviews about iWriter. Some claims that it’s difficult to get approved for a standard writer. The clients mostly prefer premium or elite writers. I would appreciate hearing your thoughts on this. Thanks for the quick message. Let me know if I can help you.